Produced from old vines farmed on the coolest slope. Bottle ageing for five years before release transforms fresh lemon and floral aromatics into a complex wine of limes and brioche. Further richness and complexity will accumulate over future decades. 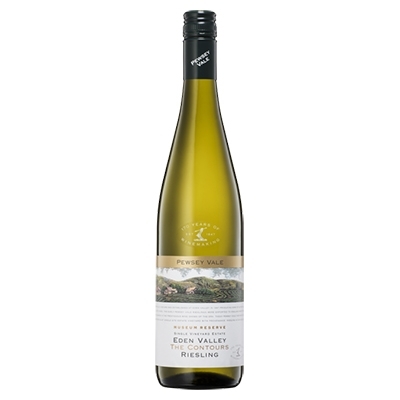 Pale straw in colour with green hues, the wine opens with intense classic lemon fruit aromas and hints of white flowers. Bottle aged characters of toast, clove oil and lemon grass have started to emerge. A palate of great length and depth with concentrated power, pristine fresh lime juice overlaid with toasted brioche, sage oil and lime marmalade. The wine finishes with a fresh but soft natural acidity which balances the flavour intensity. This wine is released in 2018 after 5 years of bottle age, but will gracefully continue to age for many years for those who appreciate bottle aged Riesling. Try with Foie Gras or duck breast with five spice glaze or smoky cauliflower soup with shaved truffles.